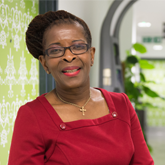 RCN campaign has reduced the threat to staff, patients and employers, says RCN President Cecilia Anim. In short, facility time is time set aside for RCN workplace representatives to complete their trade union duties, without disruption to clinical hours. Facility time supports you to work with RCN reps to raise concerns; to find ways to develop your learning and to challenge unsafe practices. The arguments in favour of facility time are overwhelming, but in recent months it’s been under attack. Proposals in the Trade Union Bill give the Government the power to cap facility time, and make it harder for our reps to support you. So news this week that the Government has looked again at its proposals and will delay the introduction of the cap is very significant. This new commitment from the Government is the result of pressure from trade union members, like you. We asked you to highlight the positive effect that trade unions have on your workplace. We asked you to share your experiences that proved facility time saved the NHS over £100 million per year. And we asked you to contact your MP to emphasise the link between a well-supported workforce and high quality patient care. You did – in your thousands, and together we have convinced the Government to think again. The fight for facility time is not over, but the new proposals provide an opportunity to show the Government that our reps create a better workplace for everyone.